If ever there was a book full of hope, Elizabeth Wright’s “Ditch the Arm, Keep the Leg” is it. Elizabeth was born in a suburb of Sydney, New South Wales, with congenital limb difference in an arm and a leg. She had the good fortune to be born into a loving family that picked her up when she fell but which brought her up with the expectation that she could achieve anything if she tried hard enough. Many of us born with a limb difference confront the thorny issue of prosthetics: some were forced by the medical profession into wholly inappropriate body modifications and cumbersome prosthetic limbs. She took to swimming like the proverbial duck to water - grateful to her brother, Phillip, for literally throwing her into the family pool at the deep end when she was still very young. 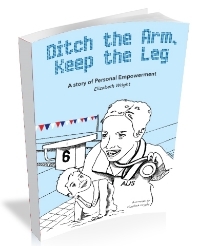 Undeterred by parental attempts to manage her expectations - in all likelihood a desire to protect her from disappointment - Elizabeth started to swim competitively and received professional coaching. Aged only 16, Elizabeth was selected as a member of Australia’s Paralympic squad for the 1996 Atlanta games, a trip that could easily have been wrecked by a throat infection. She came away with a bronze medal and an even firmer resolve that Sydney in 2000 was within her grasp. Unlike many of her peers, she resisted the temptation to experiment with drugs and alcohol. Of course, there were setbacks along the way and lessons to be learnt: like many high achievers, Elizabeth was able to deal philosophically with disappointment, adjust her course and maintain her focus on the far horizon. As well as being a fantastically useful motivational tool, this book offers a fascinating backstage pass into the razzmatazz of Olympic ceremonies, the realities of life on the road and in athletes’ villages. Elizabeth decided - even before the Sydney games - that she would retire from her sport as soon as the Paralympics were over. After obtaining a first class degree in Australia, she moved to the UK and now works as a motivational speaker. This book rightly focusses upon the slow but steady build up to achieving her childhood ambition of representing her country in the 2000 Paralympics. The years that follow the Sydney games are skimmed over. Perhaps the author is already preparing a sequel? “Ditch the Arm, Keep the Leg” will inspire every child who has a dream; it will reassure the parents of children born with any kind of difference that there is hope; it will prove to all of us that self belief, determination and focus are the cornerstones to success. "Ditch the Arm, Keep the Leg" can be purchased from OodleBooks. 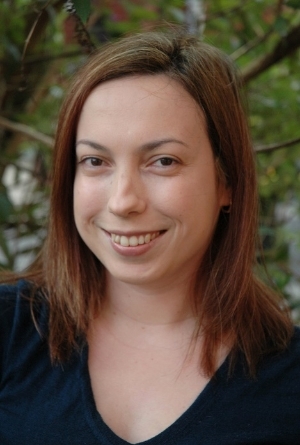 To find out more about Elizabeth Wright, visit her website or contact her via email.